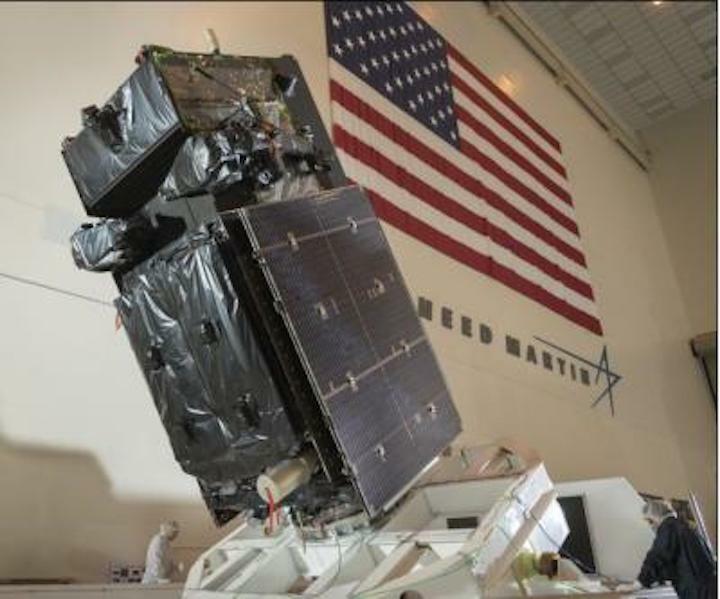 - The U.S. Air Force and Lockheed Martin (NYSE: LMT) delivered the next Geosynchronous Earth Orbit (GEO) satellite for the Space Based Infrared System (SBIRS) to Cape Canaveral Air Force Station, Florida, on October 31. SBIRS enhances the military's ability to detect missile launches, supports ballistic missile defense, expands technical intelligence gathering, and bolsters situational awareness on the battlefield. The Air Force's next SBIRS satellite -- GEO Flight 4 – is slated to launch in January aboard a United Launch Alliance Atlas V rocket. The Air Force's SBIRS includes a combination of satellites in GEO orbit and hosted payloads in Highly Elliptical Orbit (HEO). A robust, new ground control system serves as the nerve center for the entire constellation, collecting large amounts of data from the satellites' powerful sensors and converting it into actionable reports for defense, intelligence and civil applications. "SBIRS provides our military with timely, reliable and accurate missile warning and infrared surveillance information," said Tom McCormick, vice president of Lockheed Martin's Overhead Persistent Infrared systems mission area. "We look forward to adding GEO Flight 4's capabilities to the first line of defense in our nation's missile defense strategy." Lockheed Martin manufactured the SBIRS GEO Flight 4 satellite at its Sunnyvale, California, facility. For its trip to Florida, the satellite rode in a Lockheed Martin-built C-5 Galaxy aircraft from nearby Moffett Federal Air Field in Sunnyvale. SBIRS GEO Flight 4 follows the Air Force's GEO Flight 3 satellite, which launched on January 20, 2017, and in March sent its first images back down to Earth, a milestone known as "first light." The next SBIRS satellites, GEO-5 and GEO-6, currently in production, incorporate Lockheed Martin's new, modernized LM 2100 spacecraft to dramatically reduce costs and cycle times, while improving resiliency and increasing the potential to incorporate future, modernized sensor suites.